Dr. Yingwei Mao has completed his PhD at University of Michigan School of Medicine and postdoctoral studies from MIT Picower Institute of Learning and Memory. He is the assistant professor of Penn State University. His lab studies molecular mechanism of neurodevelopment and the relationship to psychiatric disorders using cellular and mouse models. In 2007 and 2013, the National Alliance for Research on Schizophrenia and Depression awarded Mao a Young Investigator Award. 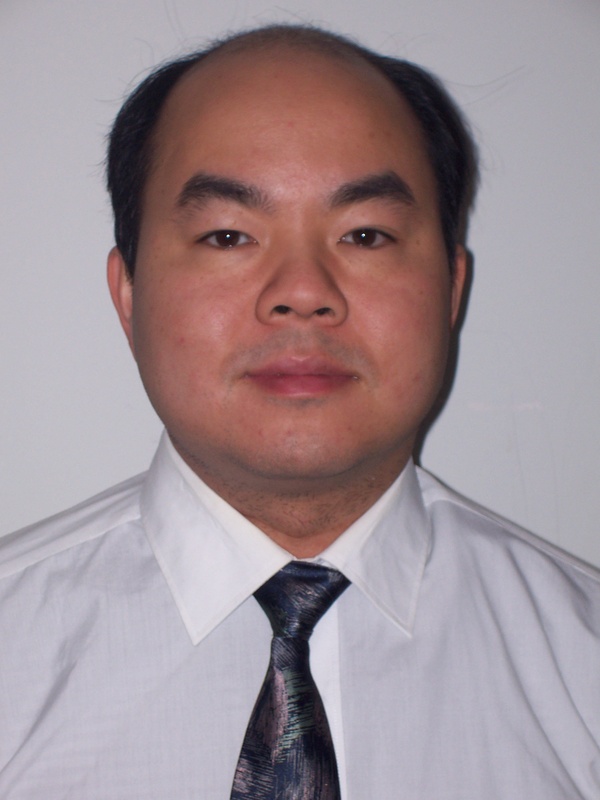 Dr. Mao has published numerous papers in peer-reviewed journals such as Nature, the Journal of Cell Biology, and Neuron. His research on the DISC1 gene was the cover story in the journal Cell in 2009. He has held one patent. He has presented abstracts and has given invited talks in many meetings and at research institutions in the United States and abroad. 3. Alachkar A, Jiang D, Harrison M, Zhou Y, Chen G, Mao Y. (2013) An EJC Factor RBM8a Regulates Anxiety Behaviors. Current Molecular Medicine 13:887-99. 5. Singh K, Rienzo G, Drane L, Mao Y, Flood Z, Madison J, Fereira M, Bergen S, King C, Sklar P, Sive H, Tsai LH (2011) Common DISC1 polymorphisms disrupt Wnt/GSK3β-signaling and brain development. Neuron 72:545-58. 6. Lee A W.-M., Mao YW, Penninger J, and Yu S (2011) Gab2 promotes Colony Stimulating Factor-1 regulated macrophage expansion via alternate effectors at different stages of development. Mol Cell Biol. 31:4563-81. 7. De Rienzo G, Bishop JA, Mao Y, Pan L, Ma T, Moens CB, Tsai LH, Sive H (2011) DISC-1 regulates both β-catenin-mediated and non-canonical Wnt signaling during vertebrate embryogenesis. FASEB J. 25:4184-97. 8. Gao J, Wang WY, Mao YW, Gräff J, Guan JS, Pan L, Mak G, Kim D, Su SC, Tsai LH. (2010) A novel pathway regulates memory and plasticity via SIRT1 and miR-134. Nature. 466:1105-1109. 9. Singh K, Ge X, Mao Y, Drane L, Meletis K, Samuels B, Tsai LH. (2010) Dixdc1 is a critical regulator of DISC1 and embryonic cortical development. Neuron. 67:33-48. 11. Yang P, Mao Y, Lee AW, Kennedy RT (2009). Measurement of dissociation rate of biomolecular complexes using CE. Electrophoresis. 30:457-64. 16. Wang J, Feng H, Huang XQ, Xiang H, Mao YW, Liu JP, Yan Q, Liu WB, Liu Y, Deng M, Gong L, Sun S, Luo C, Liu SJ, Zhang XJ, Liu Y, Li DW. (2005) hTERT immortalizes bovine lens epithelial cells and suppresses differentiation through regulation of the ERK signaling pathway. J Biol Chem. 280:22776-87. 17. Mao YW, Liu JP, Xiang H, Li DW. (2004) Human alphaA- and alphaB-crystallins bind to Bax and Bcl-X(S) to sequester their translocation during staurosporine-induced apoptosis. Cell Death Differ. 11:512-26. 18. Feng H, Xiang H, Mao YW, Wang J, Liu JP, Huang XQ, Liu Y, Liu SJ, Luo C, Zhang XJ, Liu Y, Li DW. (2004) Human Bcl-2 activates ERK signaling pathway to regulate activating protein-1, lens epithelium-derived growth factor and downstream genes. Oncogene. 23:7310-7321. 19. Li DW, Liu JP, Wang J, Mao YW, Hou LH. (2003) Expression and activity of the signaling molecules for mitogen-activated protein kinase pathways in human, bovine, and rat lenses. Invest. Ophthalmol. Vis. Sci. 44:5277-5286. 20. Xiang H, Wang J, Mao Y, Liu M, Reddy VN, Li DW. (2002) Human telomerase accelerates growth of lens epithelial cells through regulation of the genes mediating RB/E2F pathway. Oncogene21, 3784 – 3791. 22. Li DW, Xiang H, Mao YW, Wang J, Fass U, Zhang XY, Xu C. (2001) Caspase-3 is actively involved in okadaic acid-induced lens epithelial cell apoptosis. Exp. Cell. Res. 266: 279-291. 23. Xiang H, Wang J, Mao YW, Li DW. (2000) hTERT can function with rabbit telomerase RNA: regulation of gene expression and attenuation of apoptosis. Biochem. Biophys. Res. Commun. 278: 503-510.